You can record all your Skype different conversation for free with MP3 Skype Recorder. Despite Talkhelper software being number one, MP3 Skype recorder still is one of best Skype audio recorder for Windows deserves a shot. It is an app which comes with incredible features to ease Skype usage. MP3 Skype Recorder requires less time to install on your device. The software only demands you to have a version of Skype with extras manager installed. Of late, Skype has eradicated the app from the latest release, but you do not need to worry since you can download the application as a part of a slightly older build. MP3 Skype Recorder is an application compatible to computer XP/ Windows Vista/ Windows 7/ Windows 8/ Windows 10. The app runs smoothly on your device without creating inconveniences. It is a new experience to all Windows users to have MP3 Software, which an exciting application for high-quality Skype recording. This app has an ability to store your conversations in a decent way using all compact and all different popular MP3 formats. Moreover, MP3 software is surprising, can record P2P Skype and many more. It is a digital application, which starts to record immediately after you begin your conversation. Another easy to use software after the Talkhelper Skype recorder is the MP3 software. One pleasing thing to the users is that MP3 Skype Recorder can record various conversations simultaneously saving then in different files. 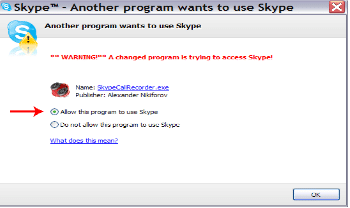 It is a modern way of recording a Skype call with this software. This software is the right app to install on your computer. The program requires just a small size of your hardware resources to avoid hiccups and stutters. Generally, considering all factors MP3 Skype Recorder is an excellent program serving its purpose and giving the best to all window users. STEP 1: When it comes to using MP3 Skype Recorders, it is easy and simple for all users and starters. You need to get the app from Skype Extras website. Download it then install. You should choose options before you begin your set up. After you are done with the installation you can launch it, which might take few minutes. STEP 2: It will notify you it’s waiting for permission from the Skype then after the process is over, press allow button. It is easy to install this Skype recorder all you need is to follow these steps. STEP 3: When it comes to storage, choose your favorite location where you feel your files are safe and easy to access. With MP3 Skype Recorder, the recording is fast with an approximate speed of 24kbs that I think is enough for voice recording. Go to advanced and click Manage other program access to Skype. STEP 4: Every time you receive a Skype call or make a call, it will be able to record automatically. MP3 Skype dumps the recordings into the specified folder for replay; you will only press the program’s play button. Even though the application lacks some features like bells and whistles, it records extremely well, although the Talkhelper software may serve you better. 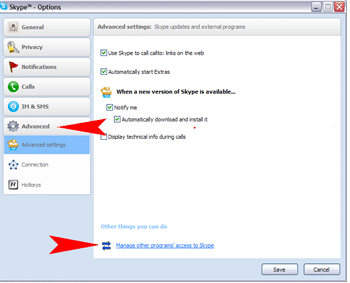 Click the radio button and allow the program to use Skype. It is free without limitations for all non-commercial users: You can make various conversations and record them without charges if it is not for business use. The program supports Skype for desktop recording: It is a compatible app without complications what you need is to follow the steps correctly for a quick installation. Automatic or manual recording capabilities: With MP3 Skype Recorder, you can select an option whether to record your conversation manually or automatic. It is optional without restrictions. The app can track calls simultaneously and save them separately: Yeah, it is amazing to have different recording a process that occurs automatically and is easy for both users and starters to carry on. Intuitive easy to use interface: When using MP3 Skype Recorder there is no disruption on your Skype, and you will be able to record calls in a decent manner. The compact format of stored records: Well, this may sound new to the starters but in simple terms, it means after recording completion the app converts all the files to MP3 automatically. Then you can store them to your favorite folder. MP3 Skype Recorder is not that much good to the Skype users. Talkhelper is way too far to compare it with this software. The app is one among the best to install on your device. The pleasing part of the application is free for non-business users. You will make your recording successfully without limitations. You have every good reason to have this thrilling app. The features are wow and modern to ensure efficient communication to all different Skype users across the world. It’s good to test it but for a good recording sessions, try Talkhelper Skype recorder.